London Lifting Services is primarily a Crane Hire company, but over the past few years has developed a Plant Handling division. We have in place a very good customer base but are looking to reach new clients. If you are in need of the services of a plant hire company to install new or remove redundant plant, please give us an opportunity to provide a quotation. Our staff have a wealth of experience in the "lifting industry" - all of them having qualifications (ranging from Banksman Slingers through to Crane Appointed Persons) enabling us to make sure that any projects undertaken are completed to our clients' satisfaction. 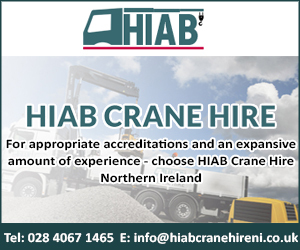 The nature of your business dictates that on occasions you will require a Mobile Telescopic Crane/Mechanical Installation Company. PRICE, SERVICE, SAFETY and COMMITMENT? Our Trading philosophy is PLANNED, CONTROLLED CRANAGE/INSTALLATION incorporating accurate assessment, planning, attention to detail, all supplied at a FAIR PRICE. Installing expensive rooftop air conditioning equipment is a specialist task that should only be undertaken by companies with the necessary skills and the right plant. ACR Today followed one such company, London Lifting, in a recent project where new BAC open cross flow cooling towers were installed on the roof of a computer site in Bedfordshire. End-user Voca Limited provides payments services to banks and corporates. Two three-section cooling towers were over 25 years old and needed replacement to continue providing cooling to Voca's data centres.